What Does Europe’s New Privacy Law Mean for UC? By Scott Seaborn. 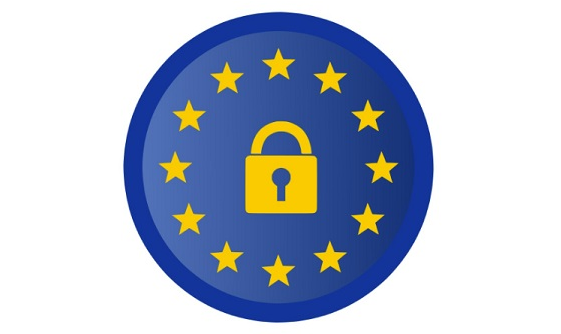 On May 25, 2018, the European Union’s General Data Protection Regulation (GDPR) went live, significantly changing the international privacy landscape and raising the regulatory stakes for institutions and companies working with the personal data of persons in Europe. The right to have the data returned or deleted. In relation to prior privacy regulations, the GDPR further broadens the scope of data elements considered confidential. GDPR protections apply to “personal data,” defined as any identifiable information relating to a natural person. In addition to standard identifiers, such as a data subject’s name, address, phone number, IP address, email address, and photographic image, the GDPR also protects sensitive categories of data such as the data subject’s race or ethnic origin, religious or philosophical beliefs, political opinions and preferences, trade union membership, health information, genetic information, and biometric data. For these special categories of sensitive data, the GDPR imposes additional protections, and often requires the consent of a data subject in order for the data to be collected and processed. and others that interact with persons in the EEA. Develop a GDPR-compliant process for responding to individual data subject’s requests regarding the data about them that has been collected and processed. The GDPR specifies strict penalties for organizations that fail to comply with the GDPR, with potential fines of up to 20 million Euros or 4 percent of global revenue. The first formal enforcement action under GDPR was initiated in July by the United Kingdom’s Information Commissioner’s Office against a Canadian analytics firm, AggregateIQ Data Services. Current European Union Data Protection Supervisor Giovanni Buttarelli has indicated that he expects the first fines to be levied under GDPR by the end of the year. In response to GDPR, UC’s legal, information technology, and compliance functions have initiated a GDPR compliance implementation program that is spearheaded by the privacy official at each UC location. To assist location privacy officials in implementing the GDPR Compliance Program, UCOP’s GDPR team has developed a library of operational tools and legal advisories specifically designed for each required compliance process under GDPR. These tools and advisories are available on a Box site and have also been organized into a compliance framework that is available internally to all UC employees on the Ethics, Compliance and Audit Services (ECAS) SharePoint site. For questions regarding GDPR, as well as access to the Box site and/or ECAS GDPR Compliance Framework SharePoint site, please contact your UC location’s privacy official. Scott Seaborn is privacy manager at the UC Office of the President.